Imagine reading a book about science . . . and liking it. The Wonder of the Universe (Karl W. Giberson, IVP Books, 2012) offers a clear exploration of scientific discovery from the understanding the ancients had to the knowledge we have today to discoveries yet to be made. And yet as I read the words just penned—or computered—I realize they certainly do not reflect the wonder and joy I knew as I read this book. The book is about how science explores. The subtitle, Hints of God in Our Fine-Tuned World, might evoke from a Christian an expectation of a book about weird bugs, the eyesight of owls, whale song, how our bodies work just right. But instead, readers of this book are treated to a real discussion of how scientists learn, how they go “where the evidence leads,” how scientists want to get it right, that they are looking for truth. Surprised? Read the book anyway. The Wonder of the Universe was not written to discuss the particulars of any given issue. It’s broader, and more inviting, than that. The author is a scientist who is solidly Christian. What I gained from this book—besides the pleasure of reading something I usually wouldn’t and liking it—is that science is not to be feared, nor must it be either defended or denigrated. And thanks to this book, I’ve decided to stretch. I’ve got on reserve at the public library the author’s The Language of Science and Faith: Straight Answers to Genuine Questions. Imagine reading a book about science, liking it, and trying to review it. I wouldn’t know what angle to take, other than to absolutely recommend this one. 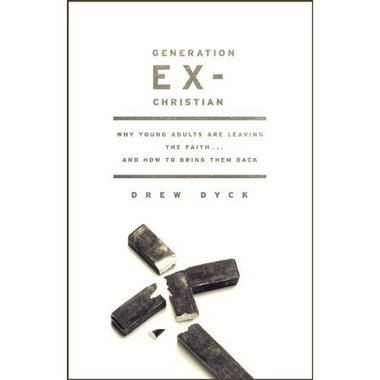 Perhaps forty or seventy or a hundred years from now, someone will pen a valuable book about Christians who are living in places such as Iran or Syria or Tunisia today. 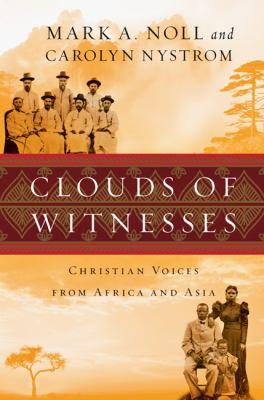 Like the seventeen men and women profiled in Mark Noll and Carolyn Nystrom’s Clouds of Witnesses, many of the subjects of this future work will be individuals who will have held fast to the faith despite being at odds with their national culture; a culture that seems inhospitable to Christianity and where one might assume the church will never thrive. Shi Meiyu was raised by parents who were early Chinese Christian converts. She studied medicine at the University of Michigan, one of the first women to enter a coeducational medical program. She returned to China and was instrumental in developing a hospital and training nurses—nurses who had far more responsibility than their counterparts in the United States. Shi Meiyu required that her nursing students be trained as Christian evangelists as well as medical professionals. 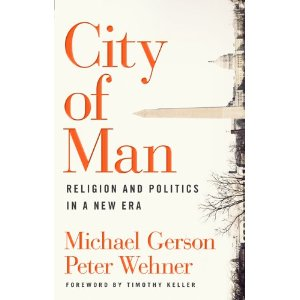 This is a not uncommon theme in the book—many of the individuals profiled expected that Bible teaching and training of Christian workers would be paired with their efforts in social areas—and vice versa. The account of Pandita Ramabai (1858–1922) is virtually un-put-downable. The journey of this woman of India to faith in Christ did not happen easily, nor all at once. But her conversion and commitment were solid. Ramabai had a life of incredible experiences and achievements, among which was the publication of The High-Caste Hindu Woman. This work helped educate Americans about the plight of Hindu women, many of whom faced a bleak life. Using proceeds from her book, she aimed to reenter their world in order to bring them hope. She began a school in Bombay, using some ingenious and bold methods to act within a Hindu social system to read aloud and introduce Christian Scriptures to students. These few words can’t do her story justice, nor can they tell of the culture of the Hindu world she had been born into and knew so well. When you pick up Clouds of Witnesses, turn to her story first! • Yao-Tsung Wu, who was so impressed with the Sermon on the Mount that it became the basis of the view of social justice he developed for China so all could have enough. Readers may find some of these richly detailed narratives, with their abundance of unfamiliar proper names, places, and events a bit difficult to follow. But nevertheless, they’re interesting and worth pursuing. Countless Christians are laboring within their own cultures today—some in hostile climates where we wonder how the church can ever grow—bringing hope, reform, the Word. Their stories, too, should be told one day this side of heaven. 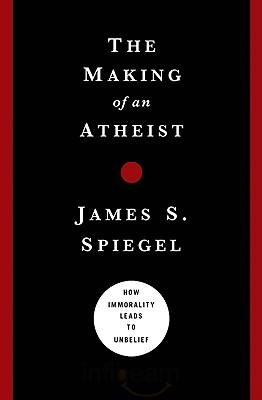 First, I should disclose that I agree with Spiegel’s thesis that “atheism is caused by a complex of moral-psychological factors, not a perceived lack of evidence for God’s existence. The atheist willfully rejects God, though this is precipitated by immoral indulgences and typically a broken relationship with his or her father. Thus, the choice of the atheist paradigm is motivated by non-rational factors” (113-114). I noticed the patterns first in the lives of Nietzsche (whom Spiegel mentions) and Foucault (whom he does not) prior to this reading. Spiegel expects that the idea will encounter resistance (and it probably will). He compiles previously released information and packages it for popular consumption, drawing significantly from Alvin Plantinga, Antony Flew’s “conversion,” and Paul C. Vitz. In fact, Spiegel does Plantinga the honor of dedicating the book to him as “a gigantic intellect with a humble heart.” Moreover, Spiegel maintains a humble tone throughout which honors Plantinga and is often lacking in apologetics. Spiegel’s goal is unique. He is not making a case for theism or defending it against the attacks of atheists. His argument is a flanking attack that responds to the “New Atheists” by calling into question the source of their unbelief. Even though they claim their unbelief is rooted in reason, Spiegel sees the rational component of their unbelief secondary to their immorality or broken paternal relationships. He blends biblical ideas (Romans 1, Ephesians 4, etc.) and virtue epistemological concepts to produce an account of how behaving badly and thinking badly decay into a downward spiral of moral and intellectual blindness (particularly in the areas of ethics, theology, and human nature). For the link between atheism and broken paternal relationships, Spiegel draws heavily on Paul C. Vitz’s Faith of the Fatherless. “The lack of a good father is a handicap when it comes to faith (70),” but not an insurmountable barrier. While this link will likely be unpopular or attacked as irrelevant on ad hominem grounds, let’s not forget that non-theists have already applied similar psychoanalytical criticisms against theists. Furthermore, enough examples are given to give us pause to reconsider the role of a paternal relationship in shaping our perceptions of God. I think the value of this book is really threefold. First, it helps encourage believers that matters of belief and unbelief are not purely a matter of the intellect, but are issues of the heart and will. Secondly, it should remind believers to be sensitive to the things which may be going on in the hearts of the unbelievers they want to reach with the gospel. Thirdly, it is a call to unbelievers to consider non-rational factors that may be barriers to their belief in God. It is a witty, quick read and is worth the couple of hours invested. I hope it is read by many. If you are strapped for time, but the concept interests you, please check out the author’s blog post on the topic here.